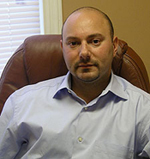 Attorney Emanuele A. Mangiafico is committed to serving his Connecticut clients both professionally and compassionately. With years of experience in a variety of areas, Attorney Mangiafico has the knowledge and the ability to help you meet your legal needs. I was surprised by how much Attorney Mangiafico actually cared about me as an individual. He was always just a phone call away whenever I had any questions. Knowing I had him on my side made everything so much easier. Attorney Mangiafico understands that each client is unique, and promises to provide representation that will keep your best interests in mind. A record of outstanding service proves that Attorney Mangiafico is willing to do whatever it takes to bring you the justice you deserve. No matter why you are seeking the aid of a lawyer in Connecticut, Attorney Mangiafico will provide service that is suited just for you. Call today to set up your free initial consultation.